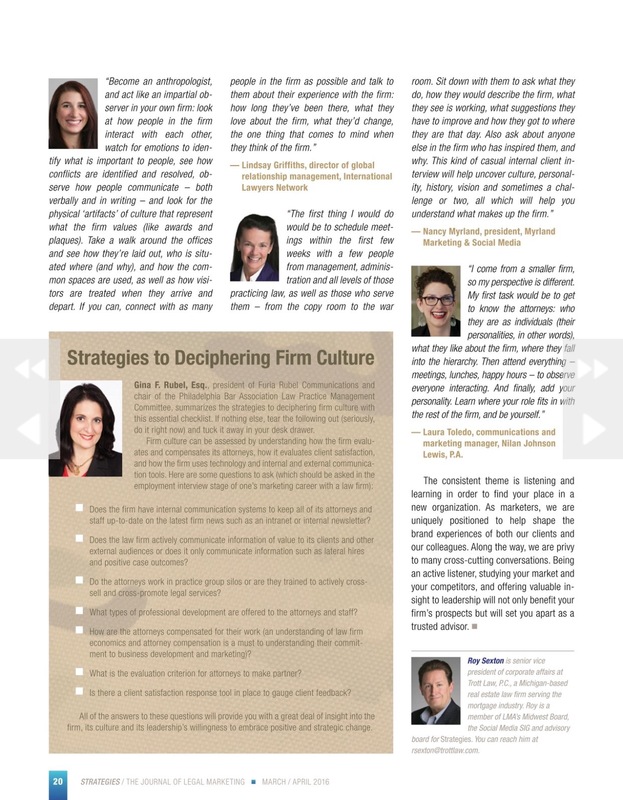 Sneak peek of my article in March/April issue of Legal Marketing Association’s Strategies Magazine. Thanks to talented and generous and fun Gail Lamarche, Gina Rubel, Lindsay Griffiths, Nancy Myrland, and Laura Toledo for their contributions. 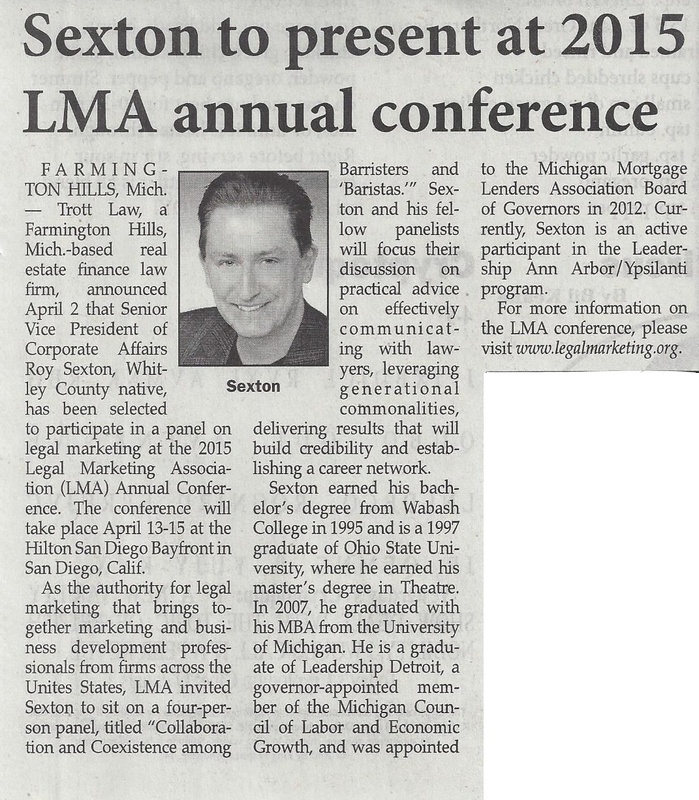 Trott Law, a Farmington Hills-based real estate finance law firm, announced today that Senior Vice President of Corporate Affairs Roy Sexton has been selected to participate in a panel on legal marketing at the 2015 Legal Marketing Association (LMA) Annual Conference. 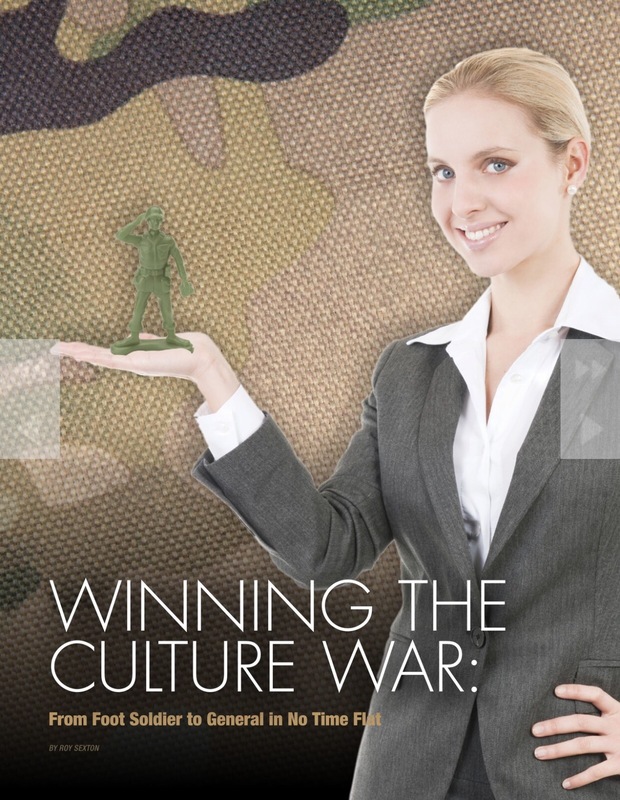 The conference will take place on April 13-15 at the Hilton San Diego Bayfront in San Diego, California. As the authority for legal marketing that brings together marketing and business development professionals from firms across the Unites States, LMA invited Sexton to sit on a four-person panel, titled “Collaboration and Coexistence among Barristers and ‘Baristas.’” Sexton and his fellow panelists will focus their discussion on practical advice on effectively communicating with lawyers, leveraging generational commonalities, delivering results that will build credibility and establishing a career network. Sexton earned his Bachelor’s degree from Wabash College in 1995 and is a 1997 graduate of The Ohio State University, where he earned his Master’s degree in Theatre. 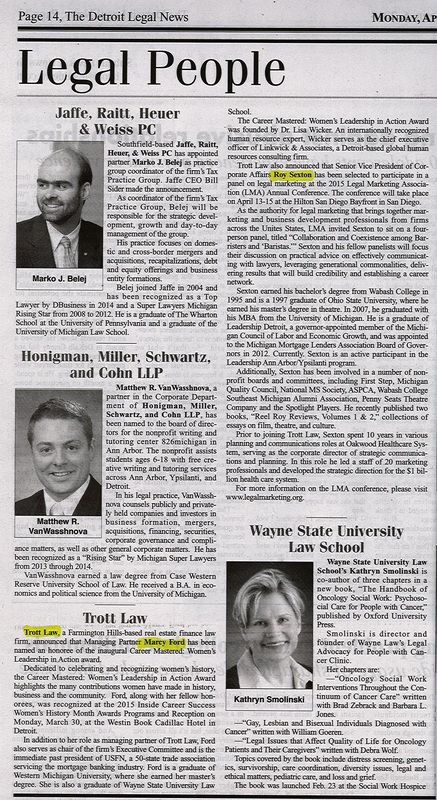 In 2007, he graduated with his MBA from the University of Michigan. He is a graduate of Leadership Detroit, a governor-appointed member of the Michigan Council of Labor and Economic Growth, and was appointed to the Michigan Mortgage Lenders Association Board of Governors in 2012. 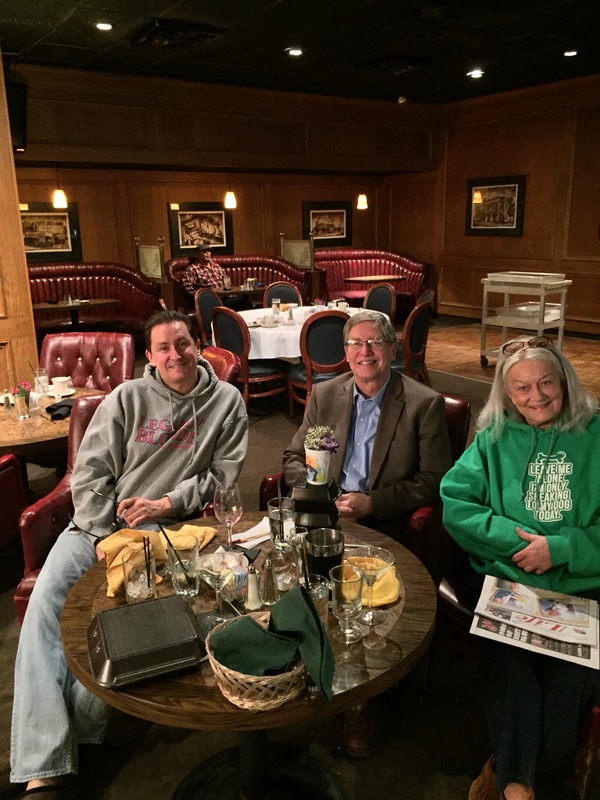 Currently, Sexton is an active participant in the Leadership Ann Arbor/Ypsilanti program. Additionally, Sexton has been involved in a number of nonprofit boards and committees, including First Step, Michigan Quality Council, National MS Society, ASPCA, Wabash College Southeast Michigan Alumni Association, Penny Seats Theatre Company and the Spotlight Players. 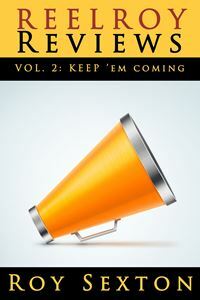 He recently published two books, Reel Roy Reviews, Volumes 1 & 2, collections of essays on film, theatre, and culture culled from his blog, reelroyreviews.com. 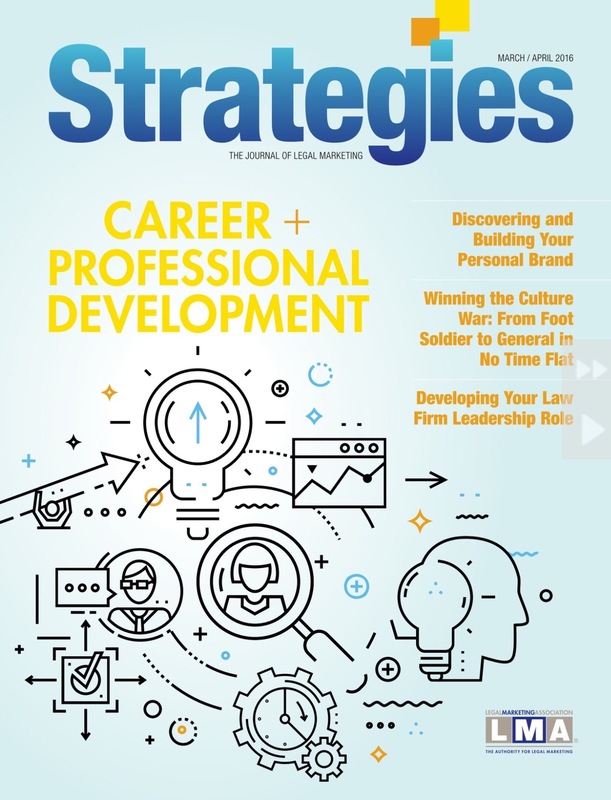 Prior to joining Trott Law, Sexton spent 10 years in various planning and communications roles at Oakwood Healthcare System, serving as the corporate director of strategic communications and planning. In this role he led a staff of 20 marketing professionals and developed the strategic direction for the $1 billion health care system. 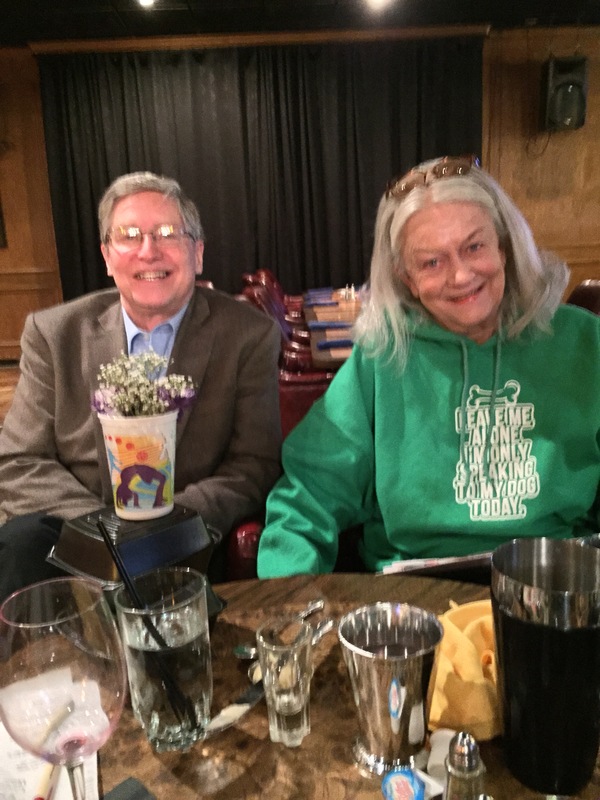 And I had a great visit to Indiana this past weekend – yes, that Indiana (the one I famously excoriated in my last entry, which was reprinted in my mom’s “Old Type Writer” column here) – to spend time with parents and to celebrate my dad’s birthday and Easter and whatnot. 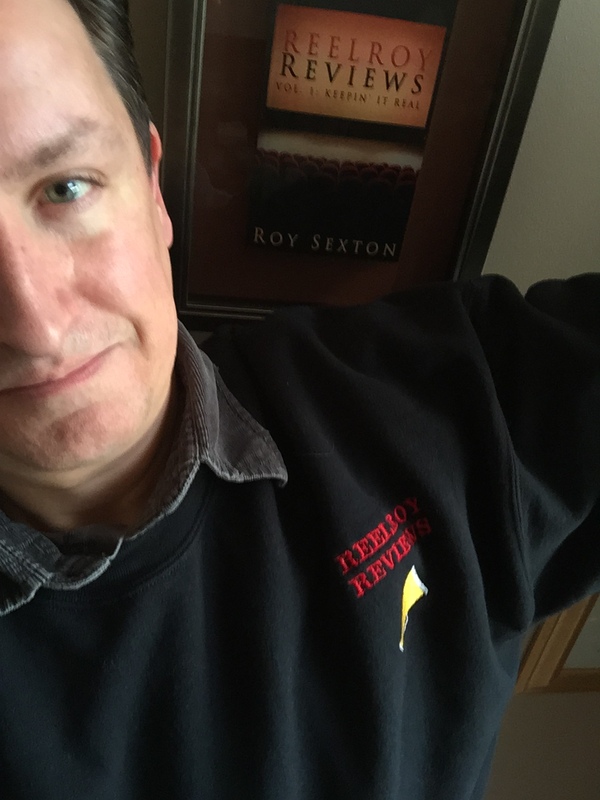 Well, we had a fabulous time, and the Easter Bunny brought me (via my thoughtful, clever parents) a beautifully custom-made “Reel Roy Reviews” sweatshirt. 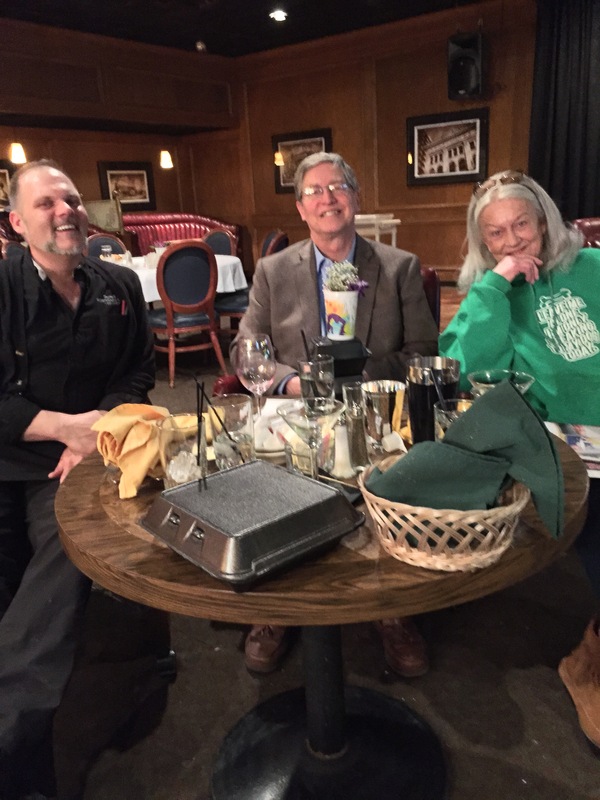 We had some great meals out and about, catching up, at these various local eateries, with sweet Nancy Hartman, my high school classmate Cammie Simmons Casey, and Mad Men fan Steven Wegman. Happy spring, everyone! Let’s hope for increased tolerance, acceptance, and love for all creatures … be they two-legged, four-legged, finned, feathered, insectoid, or reptilian.